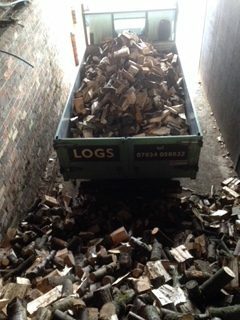 * We can deliver logs within a 6 mile radius of the farm for your convenience. Delivery is free dependent on location and quantity of wood ordered. 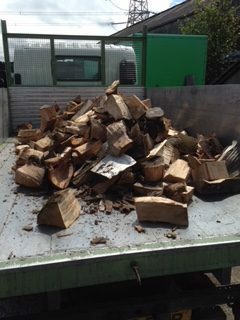 Please contact us directly on 01422 713475 for full details and to see if your firewood order is eligible for free delivery. 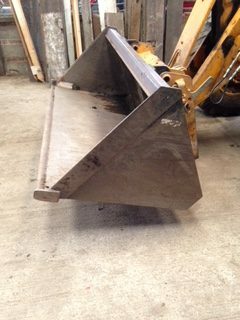 Greenwaste Recycling offer quality seasoned logs and firewood for delivery or collection from our farm in Halifax, West Yorkshire. We are very conveniently located for customers looking to buy firewood in Halifax. 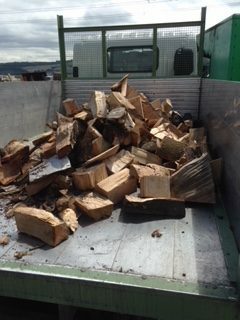 So if you are in the market for fuel logs and firewood in Halifax or around West Yorkshire, we could be your ideal quality firewood supplier. 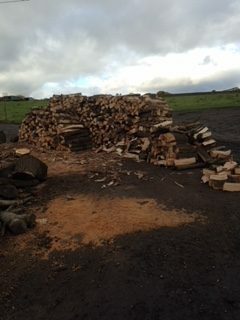 Our seasoned logs and firewood are for sale and prepared at Exley Hall Farm in Halifax, and produced from sustainable fire wood sources at the farm, and the surrounding areas of West Yorkshire. 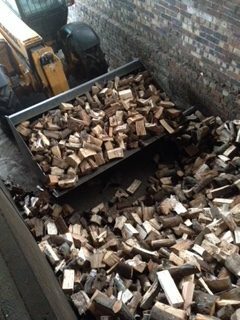 Generally, our customers require firewood and wood burning logs for sale in Yorkshire and the surrounding areas, and so we offer a regular fire wood delivery service in these areas for those requiring a recurrent supply of wood burning logs. 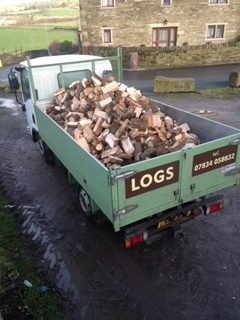 If your log requirements exceed the information or catchment area described here however, please call or email anyway as we may still be able to arrange for our firewood to be delivered, even if you are not looking for a supply of logs in Yorkshire. Inexpensive quality seasoned logs Our firewood prices are very competitive as you can see above, but we do not supply poor quality "cheap" firewood logs. Incorrectly prepared cheap firewood logs often burn too quickly or slowly, and can prove to be wasteful and very costly over a period of time. Our quality seasoned logs are carefully selected, split, dried and prepared correctly to ensure you are happy with the product, and that the wood fuel maintains very satisfactory log burning times. Our quality seasoned logs are carefully selected, split, dried and prepared correctly to ensure you are happy with the product, and that the wood fuel maintains very satisfactory log burning times. 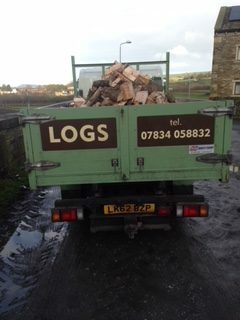 We try to ensure that our seasoned firewood prices are competitive, and to help keep our service this way, we offer an inexpensive log delivery service within a 6 mile radius of Exley Hall Farm in Halifax. 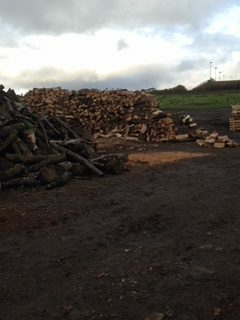 We are sure you will be happy with our quality seasoned logs, and hope that you will make us your regular seasoned log and firewood suppliers in Yorkshire. Please give Eddy a call on 01422 713475 or 07834 058832 for more details! 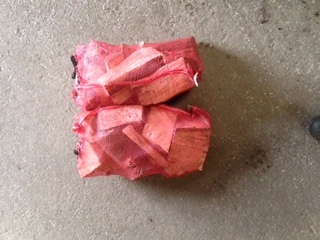 Softwood: £2.50 per net / £50 builders sack / £55 per loose cubic metre. Hardwood: £3.50 net / £75 builders sack / £85 per loose cubic metre.